Cumulus Media Albuquerque announced its heritage talk radio station, 94.5 FM and AM 770 News Radio KKOB will move to live local programming from 1 p.m. to 3 p.m. 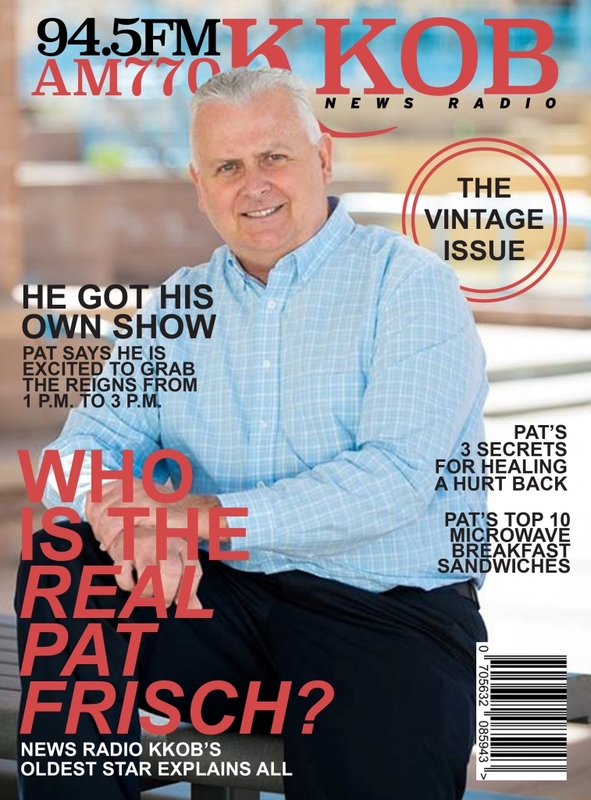 Veteran News Radio KKOB Program Director and Albuquerque radio personality, Pat Frisch, launches “The Pat Frisch show” today. 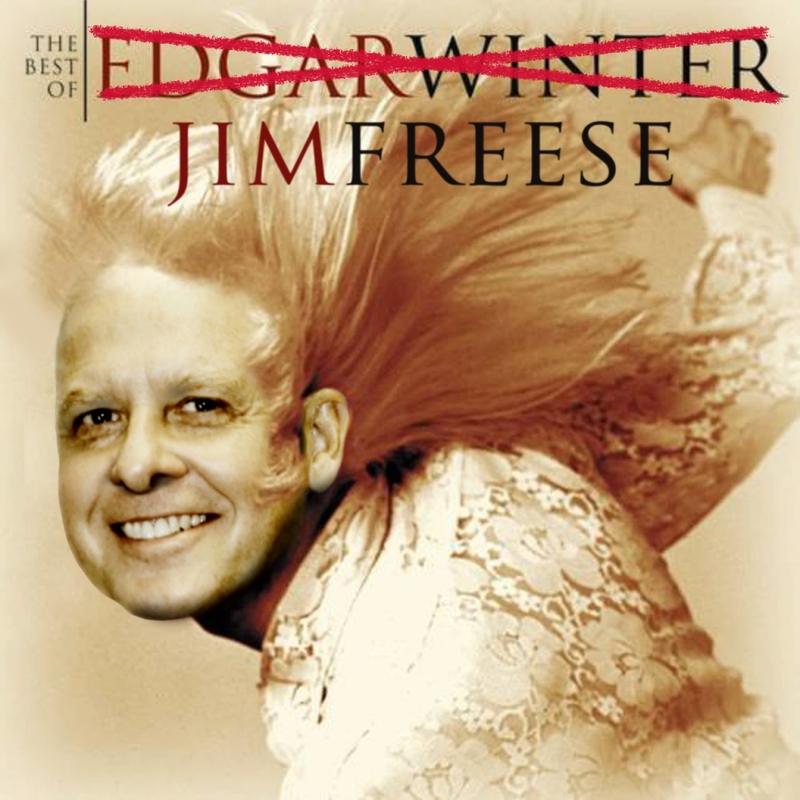 Long-time KKOB producer Jim Freese will produce the show. Albuquerque listeners will now get 11 hours of local talk radio on 94.5 FM and AM 770 News Radio KKOB during the day: Bob Clark, from 5 a.m. to 10 a.m., Pat Frisch from 1 p.m. to 3 p.m., Scott Stiegler moves up one hour to 3 p.m. to 6 p.m. and Brandon Vogt moves to 6 p.m. to 7 p.m. Popular, nationally syndicated talk radio hosts Rush Limbaugh and Mark Levin remain in their usual slots from 10 a.m. to 1 p.m. and 7 p.m. to 11 p.m., respectively. News Radio KKOB is New Mexico’s oldest commercially licensed radio station. The station was granted a commercial radio license and assigned the call letters KOB, broadcasting at 833.3 on the AM dial April 5, 1922 in Las Cruces. It would later relocate from Las Cruces to its current home in Albuquerque in 1932. Pat Frisch is a very familiar voice in Albuquerque. 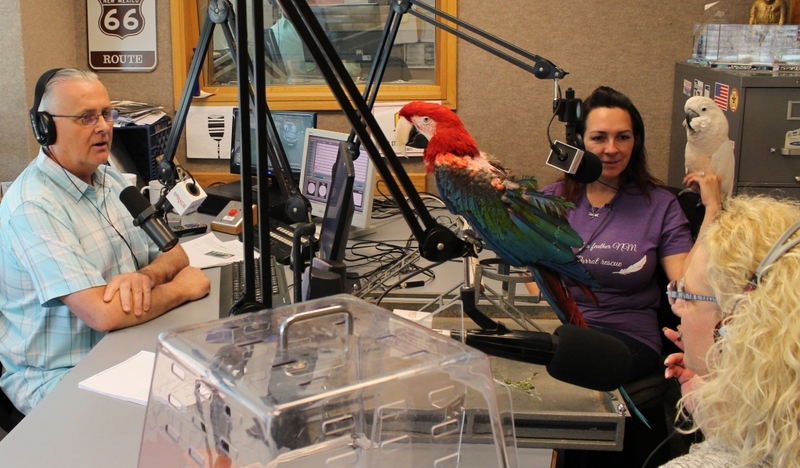 He’s spent 19 of his 34 years in radio in Albuquerque. He hosted the morning show on KKOB from 2005 through 2006 and has since been a regular fill-in host on KKOB. Pat is also the Program Director for KKOB and Operations Manager for KKOB, 95.9 FM and AM 610 The Sports Animal and 1050 KTBL. 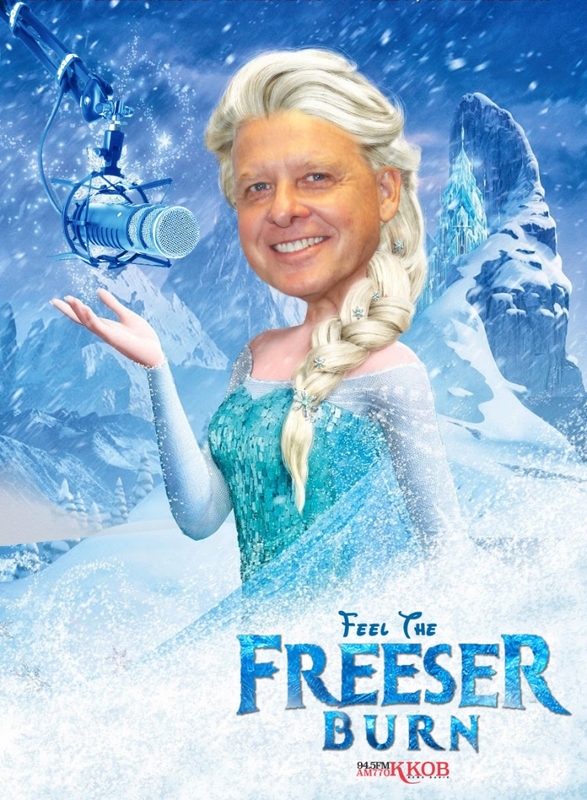 Frisch also hosted shows in Reno and Las Vegas, Nevada and was recently elected and inducted into the Nevada Broadcasters Hall of Fame in August 2017. Christy the afternoon traffic reporter with a gopher snake that made a visit to the Pat Frisch Show Studio 3/29/19. 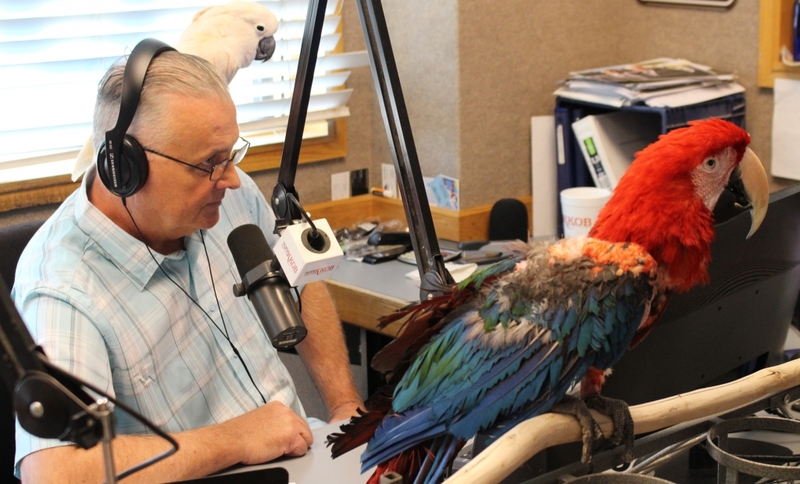 Pat hanging out with some parrots on the Pat Frisch Show 4/2/19.